MRC KICKS OFF FIFTH YEAR OF LEHIGH VALLEY'S WHAT'S SO COOL CONTEST | What's So Cool About Manufacturing? 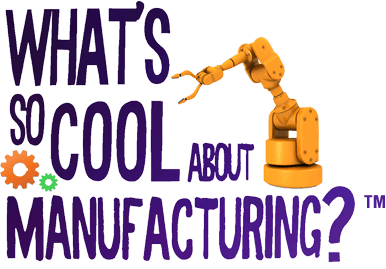 The Manufacturers Resource Center (MRC) in Allentown, PA is proud to announce the fifth year of the flagship What’s So Cool About Manufacturing? (WSCM) video contest for the Lehigh Valley area. This year’s contest will be presented on the new What’s So Cool website at WhatsSoCool.org. The area’s What’s So Cool About Manufacturing? 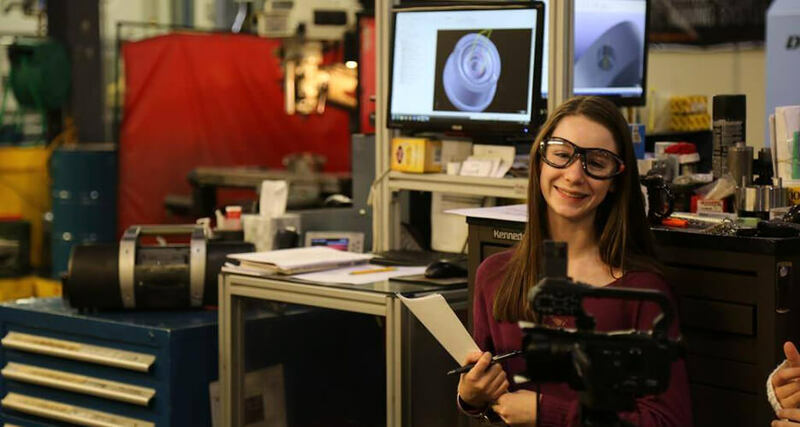 student video contest gives 8th graders from over 25 school districts in Lehigh, Northampton, and Carbon counties the opportunity to connect directly with local manufacturers, document their experiences and present them in an educational and “cool” way through film media. The contest was created to generate excitement that draws students to consider manufacturing career paths. This year, there are 30 middle school teams partnered with 30 area manufacturing companies. This expansion reflects the tremendous efforts MRC and its partners have put forth in the community. Armed with a GoPro camera, teacher coach, specific guidelines, curiosity and creativity, each team will tour its respective manufacturer’s location and interview employees to gain a primary understanding of that field. The teams will then take their footage and translate what they find to be cool about that manufacturing company’s jobs, employees, products and technology into a short video. Training videos that were created for educators are Emmy award winning. The students’ video submissions will be posted on the new What’s So Cool website at WhatsSoCool.org. The videos will be open to the public for voting in mid-February for the Viewers Choice Award, and judges will determine best videos in a variety of other categories. At the end of February, students, parents, educators, manufacturing leaders, community sponsors, local legislators and project partners will gather for an award ceremony to announce and acknowledge winning teams. Last year, over 110,000 votes were cast during the three-day period. Last year’s video submissions are available for viewing on the What’s So Cool website. Original funding was furnished by grant from the Pennsylvania Department of Community and Economic Development (DCED), who is also providing seed money for additional Pennsylvania WSCM pilot contests this year. In addition to kicking off Manufacturing Day with the launch of WSCM’s fifth season, MRC promoted tours for high school students at area companies, helped plan the 2017 Lehigh Valley Manufacturing Symposium, and rolled out the PA Dream Team ambassador program to area schools. For students new to manufacturing careers, MRC, in partnership with PBS39, created the What’s So Cool career video series – which features young employees in machining, welding and mechatronics careers. For more information about What’s So Cool career videos log on to WhatsSoCool.org For those not able to visit a facility, MRC has partnered with PBS39 to create an online video series called Inside Manufacturing, which invites the community to take a look behind the doors at 12 area manufacturing facilities. The Manufacturers Resource Center (MRC) is dedicated to creating jobs and economic opportunity in eastern Pennsylvania’s Berks, Carbon, Lehigh, Northampton, and Schuylkill counties. MRC is a nonprofit organization partially funded by the U.S. Department of Commerce’s NIST-MEP program, as well as the Commonwealth of Pennsylvania’s Department of Community and Economic Development. Great info for kids’ family and friends who read about the various companies we didn’t even know exist. Educational opportunity for students is rewarding.